Wellington is a significant port serving the lower North Island, with the Regional Council-owned company Centreport recording around 14,000 commercial shipping movements each year. 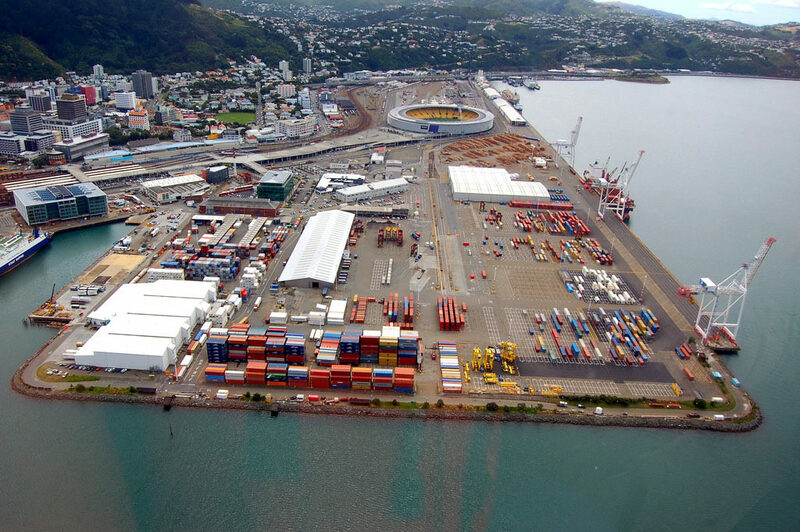 The region’s third largest container port is located in Wellington City and there is a tanker terminal at Seaview, in Lower Hutt. In 2015 the port handled 208 container ship visits, 77 log vessels, and 77 passenger cruise ships. It handled about 116,000 containers and approximately 926,000 tonnes of logs. Centreport’s facilities include a modern container terminal and dedicated conventional cargo wharves. Additional features include an international cruise terminal, state-of-the-art cold store, container repair and storage depot, specialised container packing and unpacking service, and facilities equipped to handle and store specialist cargoes such as bulk powders, forestry products, fresh produce and bulk liquids, including chemicals and petroleum. Maori legends say that the Polynesian explorer Kupe explored the Port of Wellington area in the 10th Century, returning to his home, Hawaiki, to collect others to move with him to the newly-discovered New Zealand. The Maori called the Port of Wellington Te Upoko o te Ika a Maui, meaning “the head of Maui’s fish.” They say that Maui, a Polynesian seaman, caught a huge fish that transformed into North Island. Evidence of several early Maori settlements has been found at many sites across Wellington peninsula. In 1839, the ship Tory arrived carrying a party from the New Zealand Company arrived at Wellington Harbour. Later that year, settlers arrived who built homes on the site of today’s Petone on the north side of Wellington Harbour. The area was too damp and prone to flooding, though, so they moved to the modern site of the Port of Wellington. In 1848, the Port of Wellington experienced several earthquakes that caused serious damage. In 1855, one of New Zealand’s strongest earthquakes, estimated to have been over 8.2 on the Richter scale, raised land out of the Port of Wellington harbor and created a tidal swamp in the area and moved the existing port some 150 meters inland. That land is today part of the Port of Wellington central business district. The Port of Wellington continues to rest on a series of fault lines that run though the middle of the city. The Port of Wellington replaced Auckland as New Zealand’s capital in 1865 due to concern that the gold fields in South Island would lead those communities to form their own separate colony. Wellington was chosen for its excellent harbor and central location. At the time, fewer than 5000 people lived in the Port of Wellington. Through its first century, the Port of Wellington and the waterfront area were out-of-bounds to residents of the city. Wellington’s Harbour Board and City Council controlled the land and activities in the port. At the waterfront, the Harbour Board was the governing authority: City Council actions did not apply. The port was busy with cranes and trucks moving mountains of cargo, and the port was a dirty, loud, and dangerous place. 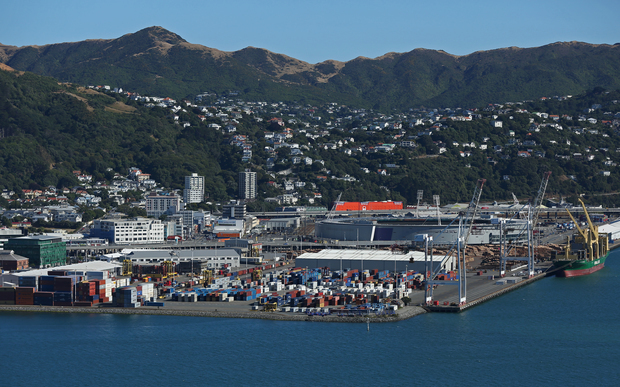 Changes started in the Port of Wellington in the 1980s. Commercial shipping activity had moved to Aotea Quay, so the inner harbor wharves were less busy, and less heavy machinery was used there. A new park added some greenery to the otherwise drab area. In 1895, the first waterfront motor race was held, and the dragon boat festival began in the late part of the decade. In 1989, Wellington’s Harbour Board and City Council merged, giving the city direct control over waterfront development at the Port of Wellington.